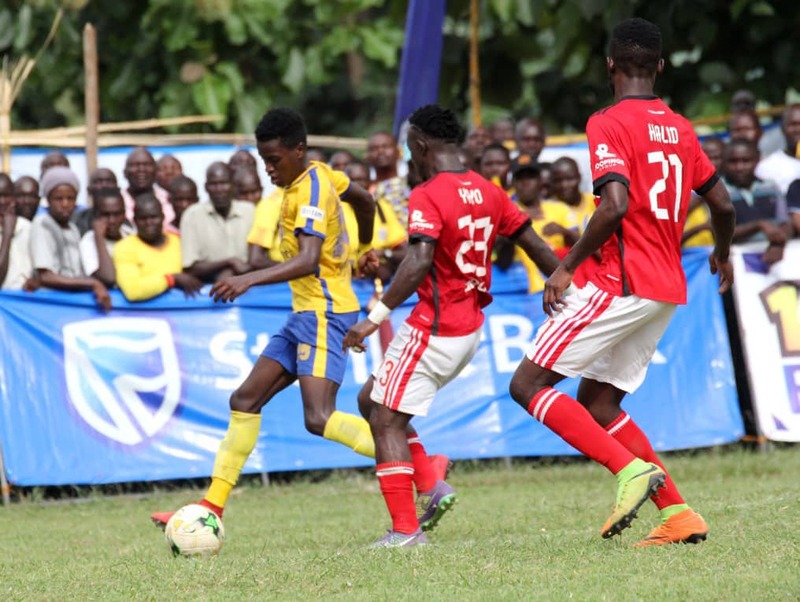 KCCA FC defeated Vipers SC 1-0 in the Stanbic Uganda Cup final to win their second successive title on Saturday at the Emokori Play Grounds in Bukedi. Julius Poloto’s header two minutes to the break was all that Mike Mutebi’s men required to ensure they don’t end the season unbeaten and in process end Viper’s dreams of winning the league and cup double, like KCCA did last season. KCCA FC came into the game having relinquished their league crown to the Venoms and despite the fact that they are still in the CAF Champions league, their most realistic hope of any silver ware was in the oldest and most prestigious, tournament in the country. KCCA endured the last 20 minutes of the game with a man less after their star player Sadam Ibrahim Juma was red carded for two bookable offences. The chief guest Hanson Obua, flanked by the FUFA President Eng. Moses Magogo handed over Gold medals to the winning team before handing them the trophy via their captain Timothy Denis Awany amidst celebrations. The KCCA FC trio of Charles Lukwago, Patrick Kaddu and Allan Okello were the best goalkeeper, top scorer and Most Valuable Player (MVP) respectively. This is KCCA’s 10th Uganda cup crown, equaling Express FC’s record of most titles won in the competition. It is also the second time in the Kasasiro Boy’s history that they retain the trophy, having done the same in 1980 having won their first the previous year. For Vipres, they have only won it once in their brief history, which was in 2016 when they defeated then Big League side Onduparaka 3-1 in the finals played at Nakivubo. KCCA FC walk away with the cash prize of 30 million while Vipers bag 20 million in the process.